London cabs are typically black, but can also be different colours, and often have different ads or banners on them. You can hail a cab by waving, or you can call in advance, whichever you prefer. Taxi drivers in the UK are famous for their knowledge of the streets, and areas, and for their incredible sense of humour, and pleasant demeanour. There is certainly no shortage of taxis, especially in public or high traffic areas, such as theatres and hotels. Minicabs are different from black cabs or taxis, as they must be prearranged or pre-ordered. They are ideal if you have appointments that you may have booked using https://www.kry.care/ or other services. Minicabs are typically cheaper than taxis, but once again, require adequate planning. These vehicles often look just like other cars, and are usually only able to accommodate up to four people. With no distinct markings, you must keep your eyes peeled, as you wait for your minicab, and ensure that you get in a car with a PCO license in the front or back window; this ensures that it has been licensed with the Public Carriage Office for your own safety. 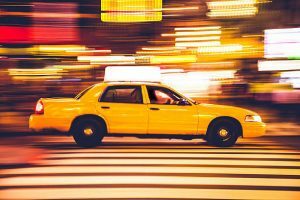 If the ‘for hire’ sign is lit up in a taxi, that typically means there is no passenger inside, and that it is available for you to hail. You can easily find, and access, taxis at train stations, hotels, etc. For larger groups, it is definitely advised to book travel in a minibus or bigger vehicle, as taxis can’t take more than five people legally. Minicabs need to be reserved or booked in advance, so keep that in mind when you are organising travel. Give yourself enough time to wait for the minicab, and remember that peak times can be busy, and result in longer waiting times for passengers. You can always ask your hotel to prearrange a minicab for future dates, or times, to ensure you have a car ready when you need it. There are different sites and apps that you can use to locate a taxi or minicab in your area. This helps you see which companies have taxis around, where the taxis are, and even order a taxi from your mobile device app in some cases. Taxis operate on a fare basis which is typically is calculated based on distance. There is a base fare which is relatively standard across most taxis and a charge per km. The fare increases in real time so you know exactly how much your paying at all times. There are extra charges that are possible, which include if paying by card, costs for Bank Holiday operation or after midnight.